How can you tell if a journal is full text? - Ask Us! Q. How can you tell if a journal is full text? The simplest way is to search for the journal in the e-journals catalog. If the library has full-text online access the journal, it will appear in the results list in one or more databases. 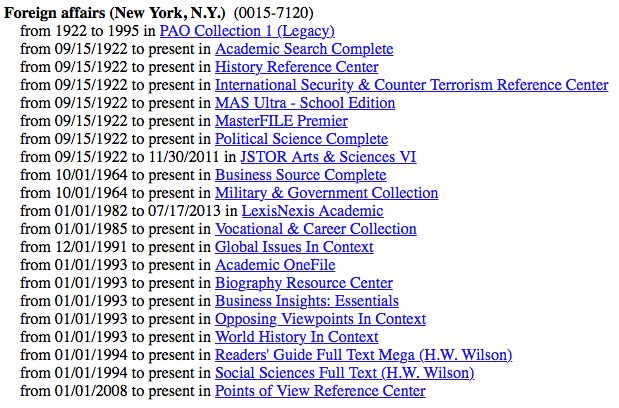 Next to the name of each database that contains the journal will be the range of years of full text available. See the picture below for an example.